The State Committee of the Libertarian Party of New York official chartered the Cattaraugus County chapter at their March 3, 2019 meeting. 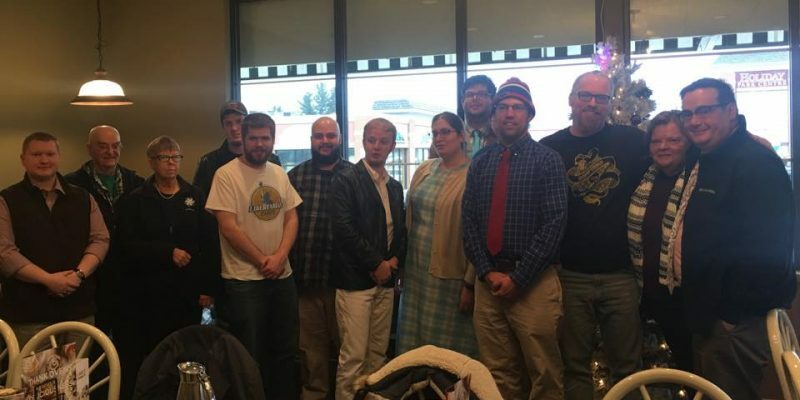 The Cattaraugus County Libertarian Party held its first convention on December 29, 2018 at Perkins Restaurant in Olean, New York. Residents of Cattaraugus County were joined by visitors from all across the state and by a couple of visitors from the state of Ohio. At this convention, the first committee was elected. Luke Wenke was elected as the chair. Mr. Wenke appointed Peyton Kunselman as the representative to the state committee. Matthew Peterson-Volz was elected as the vice chair, Michele Ball was elected the secretary, and Rich Herner was elected the treasurer of the organization. After the election of the committee, Nathan Leaver of Ohio spoke to the group about strategy and how to be effective with campaigning. After this talk, there was an open forum where every attendee was able to speak about issues close to them and offer Libertarian solutions to these problems. Chairman Luke Wenke and the rest of the committee is thrilled to see what the future holds for the Libertarian Party in Cattaraugus County and in New York State. Many great candidates are running for various elections across the county this year and have amazing momentum. “Now that we have automatic ballot access, we can do a lot to reshape our hometowns and watch the liberty movement spread across the state and give everyone here hope,” said State Representative Peyton Kunselman. Peyton Kunselman is the State Representative for the Cattaraugus County Libertarian Party.